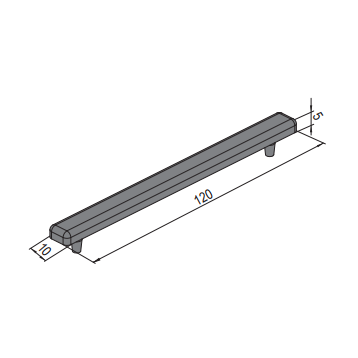 This product is a KICK PLATE END CAP (4.12.30.10.010120) with a mass of 0.005kg. Once the kick plate profile has been added onto a machine guard unit, it still has sharp edges that might be hazardous or cause injuries. It also still looks unprofessional. That’s where the end cap comes in. The product is added onto the kick plate profile. It’s main function is to prevent staff from any injuries and to improve profile end appearance.